You are currently browsing articles tagged Vaughn Hathaway. The pastor had a challenging opportunity in front of him. He had been invited to a debate, and most of the audience was all on the other side of the issue! The “debate” was held at Harding College & High School in Memphis, Tennessee. The greater majority of the audience was made up of kids from high school and their parents. For the most part, they were all members of the Church of Christ denomination. The greater majority of these were novices. Rev. Moore didn’t go there to “debate” the guy. Or to shut him up. He went there to preach the Word. He went there to win souls. By the end of Mr. Moore’s first speech, he had the audience eating out of his hand. They were listening to him and the audience wasn’t listening to the Church of Christ minister. And, the Church of Christ minister was totally frustrated. He even said something outright, to the effect that Mr. Moore wasn’t responding to any of his points. Had you been judging the “debate” on technical merit, you might say that the Church of Christ minister won. But, he didn’t win any of the hearts of the people. Mr. Moore wasn’t concerned with winning the debate. He was concerned really with only one thing that night and that was to sow the seed of the Word and let the Spirit bring in the increase. As a result, the Church of Christ community was shaken by that debate and that Mr. Moore’s words lingered in their community for quite some time, because the Church of Christ minister was foolish enough in his “victory” to have the debate published. There are several turning points in everyone’s life. Some you recognize right away, but most you appreciate more as time gives a better perspective. One of those turning points in my life was found in the person of the Rev. 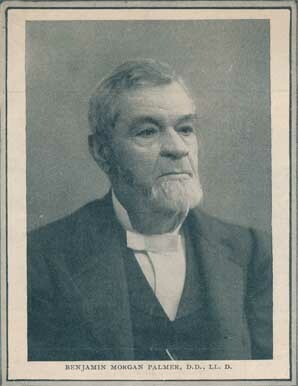 James Erskine Moore. He became my pastor shortly after I became a Christian, and he taught me the distinctives of the Reformed faith, right from the Bible. In the providence of God I met this man at the funeral of my beloved uncle Walter Saumert. I vividly remember Mr. Moore reciting from memory I Thessalonians 4:13-18 as though God was speaking to me directly. The episode was dramatically enhanced by the fact that, as a new Christian, I had not yet read much of the Bible. The fact that this was the first time death had struck down someone I loved also increased the impact of the moment. God was working. Anyone who knew Jim Moore will also understand that he had a flair of unaffected drama in his preaching and recitations. Again I must attribute to divine providence the fact that my father decided the family needed to move about that time, and our move put us in the same area as the Westminster Orthodox Presbyterian Church and its pastor, the Rev. 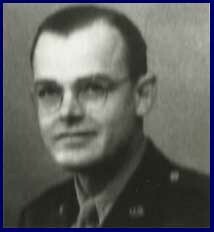 James E. Moore. My mother and I began to attend the church, and that is when I first joined the O. P. C.
It was at this church that I came—albeit kicking and screaming—to be convinced of predestination. Here also I was to meet the spunky girl who became my dear wife. Barbara had been taught much of this good stuff, growing up in the home of an OPC minister, but in God’s timing we were both prepared to grow under the ministry of Jim Moore in our understanding of Christ and his church. Barbara and I both were impressed with Mr. Moore’s preaching, but his manner required some acclimation. He had an engaging, conversational style, and his voice was pleasant. His vocabulary and syntax invited our thoughts to follow him easily. But he flexed his jaw with certain words that made it appear he was trying to hold his teeth in his mouth. This was most memorable when he pronounced the word “chuch” (or at least it sounded like that to me). It took at least one full sermon, more for others, before one could actually hear the message without distraction. Once acclimated, however, we were strongly edified by this dear man’s preaching. The church was very small, and the youth group was accordingly small. The Moore’s son, David, his sister Gwladys Ann, John Molloy, Dorris Stegemeier, Barbara and I were the regulars. In addition there were some occasional visitors. Younger kids included Katie Moore (now Mrs. Yaegashi, a missionary in Japan). David Moore served many years as a missionary in Japan also, and now uses his Japanese language proficiency to serve as a translator for emergency calls with the phone company. Jim Moore made his home a friendly and inviting place for us all. His beloved wife, Maglona, was no small part of this pleasant environment. They always had ice cream to dispense, and we habitually played “up Jinx” (a team game which included slapping a quarter on the table in stealth so as to keep the opposing team from guessing which hand lay upon the quarter). Sometimes we sang hymns in this home, sometimes we had prayer. It was in the Moore home that I first met Professor John Murray. Mr. Murray was in the area to deliver a series of lectures to Fuller Seminary on the subject of Christian ethics. Those lectures were later published as Principles of Christian Conduct. Mr. Moore taught us to be careful Sabbatarians. He had definite convictions about the church and that the Bible only knows of two perpetuating offices. As a brash new Calvinist I once made comment about a minor baseball injury, being glad that was over, but Mr. Moore chided me not to make light of providence. He was indeed a man of propriety and integrity, and a man of firm convictions. Unfortunately it was his conviction that it was sin for me to get married before I attended seminary that drove a wedge between us. We never experienced as close a relationship after that. But we respected each other to his dying day. He was brought into my life at an important time, and God used the Rev. James E. Moore to bless my life immeasurably when I needed him. Fling open wide the golden gates, and let the victors in. What rush of alleluias fills all the earth and sky! What ringing of a thousand harps bespeaks the triumph nigh! O joy, for all its former woes a thousandfold repaid! What knitting severed friendships up, where partings are no more! Orphans no longer fatherless, nor widows desolate. Show in the heaven Thy promised sign; Thou Prince and Savior, come. The tune Gresham is also displayed here. Every once in a while we will dispense with people and events tied to the calendar. I think this particular piece warrants your attention. The following article is from among the Papers of the Rev. 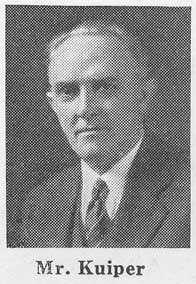 Vaughn Hathaway (graciously donated at this recent PCA GA), and it was the lead article in a 1935 publication of the National Union of Christian Schools,an effort largely connected in those years with the Christian Reformed Church. And since today is a work day, for your convenience a shorter, edited version (with emphasis added) is posted “above the fold.” Please come back later when you have time to read the full article (posted below the fold). Time has proven Kuiper’s words to have indeed been so very accurate and true, and still so very applicable. THE CHRISTIAN SCHOOL A NECESSARY WITNESS IN THE MODERN WORLD. It is sometimes possible to characterize an age in one word. The antediluvians, for example, lived in practical atheism. They went about their pursuits as if there were no God. Soon after the flood men turned to polytheism, and for many centuries the human race remained steeped in this sin. I believe that antitheism describes today’s world as accurately as any one word can. At the very least it may be asserted of our age that it indisputably manifests a strong strain of antitheism. Modern man is not merely forgetting God, or even wilfully ignoring Him, but he emphatically denies God. He hates God and is eager to express his hatred. He flies in God’s face. More fully expressed, it is characteristic of the modern world to cast overboard God and His Word and, consequently, His answer to the question what is true as well as His norm of goodness. The world will have nothing of God, the Absolute, nor of His objective standard of truth and morality. The inevitable outcome is here. Modern man has lost his moorings. He finds himself at sea, surrounded by the thick mist of doubt and uncertainty and enveloped in the black darkness of hopeless pessimism. “Whirl is King, having driven out Zeus,” said the Athenian comic poet Aristophanes. “Whirl is King, having driven out the Absolute” describes the wicked and adulterous generation in which divine providence has cast our lot. If he who denies the absolute God and His Word has no reply to the question what truth is, neither can he say what is good. The modern man does not know what is right and what wrong, and, as has been aptly remarked, he is giving himself the benefit of the doubt. Modern youth revolts against the restraint of God’s law and passionately lends its ear to the siren song of Freud. The divine institution of marriage is unblushingly violated even in the first family of our land. Supposedly Christian Italy seems eager to follow the example of pagan Japan in carrying out a selfish program of imperialism through ruthless and bloody conquest. Not only numberless individuals, but whole civilized nations, have lost the sense of financial obligation and are laughing just debts out of court. Capital continues to exploit labor, while fanatic reformers and windy demagogues are applauded by hosts for their communistic dreams. “All thine is mine” might well be called the slogan of our generation. But human beings must be held in restraint somehow. Even man himself realizes that. And so it comes about that modern man, having turned his back on the law of God, which is the law of liberty, yields to a multiplication of human laws, which is tyranny. The great war was fought avowedly to make the world safe for democracy. But the post-war period is one of dictatorships. Despots are crushing whole nations under their heels. Everywhere governments are trampling upon the sacred rights of individuals. The totalitarian state is in the ascendancy. Democracy is rapidly becoming a huge joke, personal liberty a relic. What is our duty as Christians in this present evil world? If that question were to be answered in one word, I should choose the word witness. Just before His ascension our Lord said to His disciples: “But ye shall receive power when the Holy Spirit is come upon you; and ye shall be my witnesses both in Jerusalem, and in all Judea and Samaria, and unto the uttermost part of the earth.” That is a succinct statement of the Christian’s task in the world. Christianity is not merely a theology; it is also a cosmology. Christianity tells man the truth, not only concerning God, but also about the universe. It is more than the true doctrine of salvation; it is also the one correct interpretation of life and the world. It is a comprehensive system of all revealed truth—not only the truth of God’s special revelation, the Bible, but of His general revelation in nature and history as well. And this system derives its unity from God, who is Himself the Truth as well as the Revealer of truth. Christianity is theism. God has seen fit to reveal Himself to man in two books—the Bible, the book of special revelation, and nature and history, the book of general revelation. Now it is the duty of the organized Church to teach men the content of the former of these books, while it is the special task of the school to open the latter. To be sure, the two may not be separated. Truth can hardly be dealt with so mechanically. After all, truth is one because God is one. Truth is organic. And only he who has learned to understand the Bible can really know history and nature. Yet the distinction is a valid one. The Church can hardly be expected to teach the intricacies of mathematics, physics, astronomy, or the history of the Balkans. Nor does any one demand of the school that it preach the gospel. But Church and school together must declare the whole of God’s revealed truth. All we can do is witness. While doing so, we hope and pray that our witness may find response in the modern world. But whether this will actually occur we cannot say. Nor are we responsible for results. Dean Inge once said: “The strength of Christianity is in transforming the lives of individuals—of a small minority, certainly, as Christ clearly predicted, but a large number in the aggregate. To rescue a little flock, here and there, from materialism, selfishness, and hatred, is the task of the Church of Christ in all ages alike, and there is no likelihood that it will ever be otherwise.” This is not a good statement of the task of the Christian Church. Reference to the preaching of the gospel of salvation in Jesus Christ is altogether too obscure. Nor is anything said about the Church’s being the salt of the earth. But who will deny that there is a great deal of sanity in the apparent pessimism of these words? Perhaps the witness of the Christian school too, like that of the Christian Church, is destined to fall in large part on deaf ears. But witness we must. And our witness should ever be clear and strong, and winsome withal. And who will gainsay that the witness of the Christian school is precisely the witness which is needed by the modern world? But the Christian school is characterized by theism, by recognition of God, by submission to the absolute and the objective. It not only asks questions but also solves the most fundamental problems of life. Accordingly it is marked by the calmness of certainty, the tranquillity of power, the serenity of the eternal.